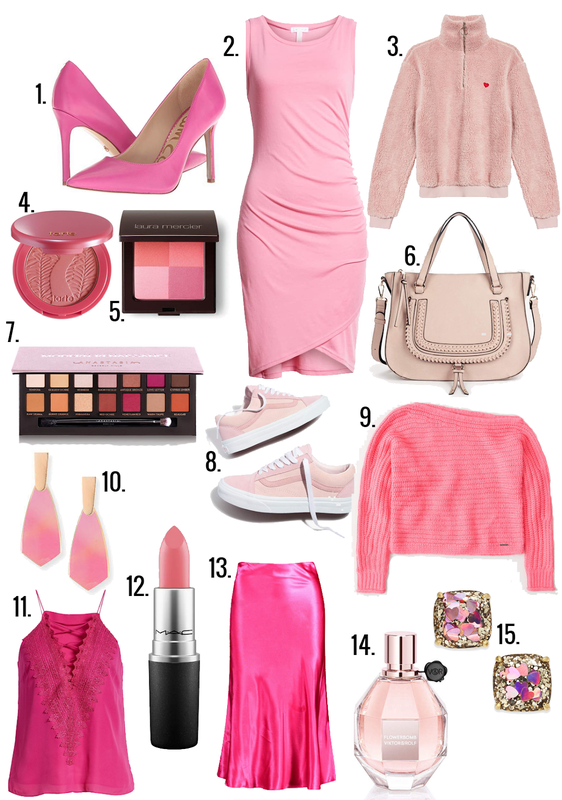 Pink is one of those colors that I rarely wear, but definitely gravitate towards for Valentine's Day. My favorite shade is an almost neon bubblegum pink that I especially love paired with red (see last year's Pink & Red V-Day Gift Guide)! There are so many beautiful shades of this color in stores right now that it's hard not to want to wear it every day of February. I've rounded up a few of my favorite rosy-hued pieces that would be perfect to wear on the day of love! This post contains affiliate links. If you click on or make a purchase using these links I may earn a small commission, at no additional cost to you. Thank you for supporting Truly Yours, A. by using these links! Everything on this list would also make great gifts for your Galentine's or any other ladies in your life! Happy Valentine's Day!